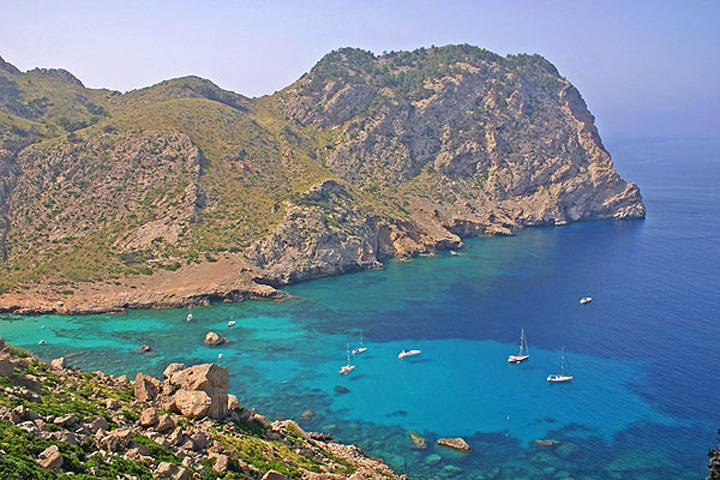 Cala Figuera (Formentor) is a virgin sand and rocky cove surrounded of a rugged and wild nature. The cove is between large walls of mountains which rise around. 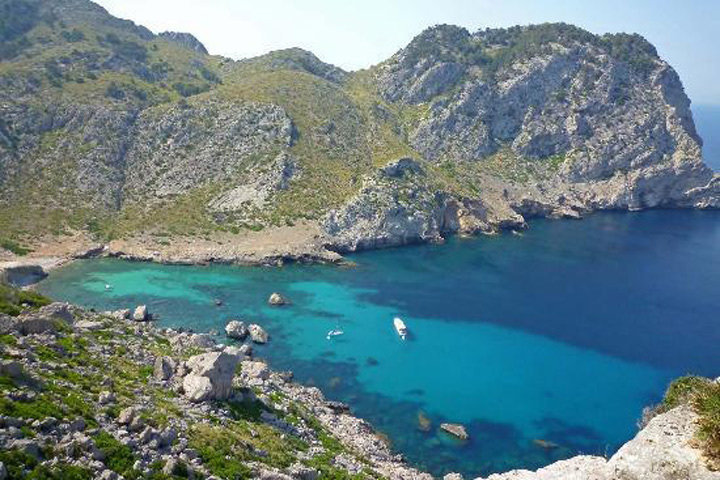 Is located in the north side of the Serra de Tramuntana, closed by the buttress of the Cabo de Catalunya. From the sea, the views are amazing; cliffs and wild vegetation. Moreover, its crystal clear and turquoise waters are delightful.